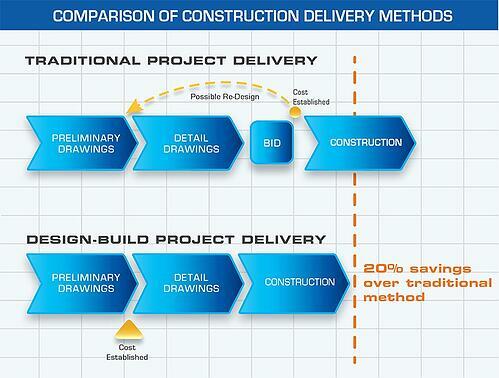 In contrast, the most effective way of achieving early contractor involvement is by employing the design-build project delivery method, pictured above. Design-build streamlines project delivery through a single contract between the owner and the design-build team, creating an environment of collaboration and teamwork between the designers and construction team. In addition, pre-construction services provided by the contractor, such as feasibility studies, financing options, site selection and logistics, conceptual planning, value engineering and scheduling provide an opportunity for collaboration and help determine the viability, and ultimate success, of a project—well before the shovels hit the ground. 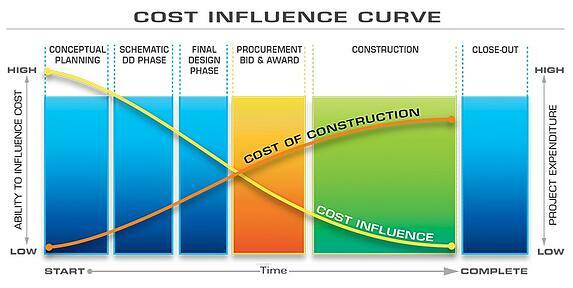 As illustrated in the Cost Influence Curve pictured here, decisions made early in the conceptual planning and design phases have a dominant influence on the cost and completion time of the project. It quickly becomes evident that the owner holds the key to controlling project construction costs because all decisions made at the onset of a project have far greater influence on costs than those made at later stages. In addition, design and construction decisions made early-on will influence on-going life-cycle costs. 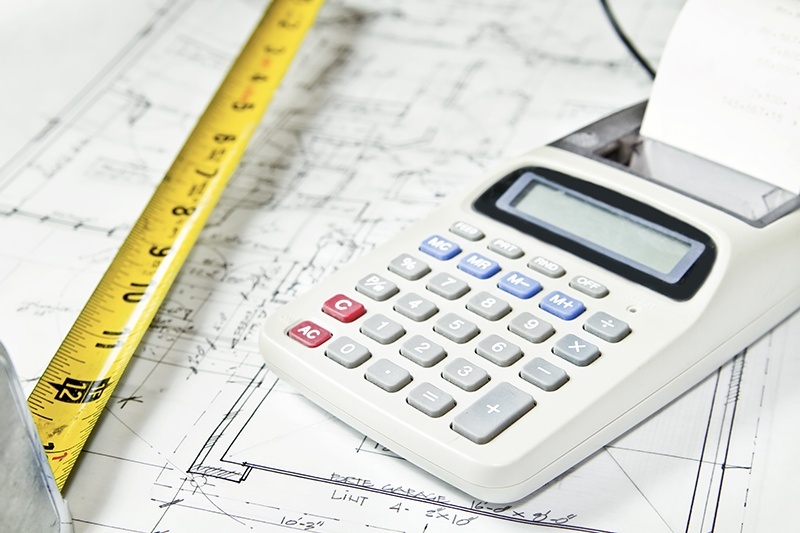 When the owner works with a single team under one contract, it is far easier to balance his or her facility needs and budget with the design, materials, systems and construction processes required to maximize the owner’s revenues. When you work with Fiegen Construction from the beginning, our integrated approach works to successfully complete a project faster, safer, more cost-effectively and with fewer change orders.